At the end of March 1776, General Washington was still enjoying the adulation of expelling the last large British force in the 13 colonies. General Howe had sailed his army from Boston to Halifax to await his brother, Admiral Howe, and his other reinforcements. Washington knew that a strike would be coming, but still did not know where or when. Washington was on defense now, and had to figure out where he needed defenses. 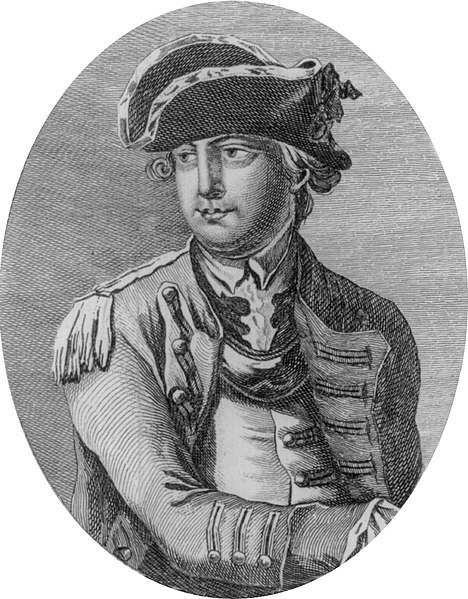 In his letters to Congress in April and May, Washington guessed that Howe might attack at Quebec, New York, or both. He also had to worry about Clinton’s force down in the Carolinas. With less than 10,000 Continentals to defend New York and only about 2000 for Quebec, he really did not have enough troops to defend either properly. His hope was to force Howe to attack well entrenched positions where, like Bunker Hill, the regulars would take far more casualties than the Continentals. His only other hope was for large numbers of local militia to turn out in each area to augment the Army. In Canada, this had proven impossible. Similarly in New York far fewer locals were willing to turn out and fight for the cause. Much larger populations were either loyalist or simply unwilling to risk their necks for the cause. Before battle came, Washington’s ranks would swell to around 20,000. However, these added militia proved very disappointing in battle and convinced Washington of the need for a larger well trained Continental army if he ever hoped to win the war. Washington seemed convinced that Howe would be headed to New York, though he continued to write letters indicating he could not be sure. 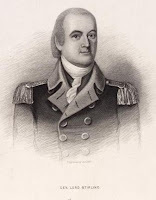 Back in January 1776, Washington had sent Gen. Charles Lee to New York. Lee, who was third in command of the army, was getting bored at the Siege of Boston. He wanted an independent command and was not shy about writing to Congress about it. Lee had a hard time treating Washington as a superior. Remember, Lee had known Washington since the two men fought together under General Braddock in 1754. At that time, Lee was a lieutenant in the regular army and had command authority over Washington in the Virginia militia. In the intervening decades, Lee had wracked up experience fighting in Europe for Britain and other countries, while Washington had sat around Virginia as a farmer and politician. Lee was generally respectful toward Washington as his commander. But anyone who talked to Lee for more than five minutes had to realize he considered himself superior to Washington as an officer and military strategist. He seemed to be biding his time until everyone else realized the same thing and replaced Washington with Lee as commander of the army. Washington seemed to have an amazing knack for letting his subordinates shine, even when it might mean his own replacement. When Congress decided to give Lee an independent command in New York, Washington backed the plan. Indeed, he encouraged it. Before taking command, Lee spent a few weeks in Connecticut recruiting about 1200 soldiers to take with him to New York. Part of his mission was to begin building defenses in anticipation of an assault by sea. But his first job was making sure the Tories in and around New York did not create their own threat. Although radicals like Isaac Sears still controlled New York City for the patriots, many Tories were waiting quietly for things to change. There was still a British fleet in the harbor, along with Governor William Tryon, though they did not dare step foot on land. New Yorkers feared that Lee’s presence with his New England regiments would convince the British fleet to fire on the city, possibly burning it to the ground. When word reached the Continentals that General Henry Clinton had left Boston for New York, they decided Lee needed to get down there, despite any protests, and make sure Clinton was not going to try to take the city. He needed to discover Clinton’s intentions. Lee figured there was nothing like the direct approach, so he wrote Clinton a letter and had it delivered to Clinton’s ship in New York Harbor. Lee and Clinton had been old friends in the regular army where they served together for years. The fact that Lee was now a traitor and one of the commanding generals in an army that Clinton was tasked to destroy, did not seem to bother either of them. Clinton assured Lee that he was only there to confer with the royal governor, that he only had a few companies with him and had no intention of landing. He was headed down to the Carolinas to meet up with General Cornwallis and the regiments he was bringing over to retake the Carolinas. All of this was true, but really Clinton, just write a letter outlining your entire plan and send it to the enemy? Even Lee seemed skeptical when he forwarded the information to Washington. What kind of General would do that? But that’s exactly what Clinton did. Lee immediately set about testing the resolve of the British Navy. He brought his 1200 Connecticut soldiers into the city, along with another 1000 from New Jersey. He dismantled the artillery battery at the harbor, right under the nose of the Navy. The British had threatened to level the city if the patriots took the guns. But Lee took them and they did nothing. Lee also cut off Governor Tryon’s ability to send and receive letters from his ship in the harbor. While Lee was an aggressive military figure, he definitely lacked Washington’s political skills. Lee never asked for anything. He ordered it. Like other British officers I've discussed in the past, Lee considered civilian government officials as his subordinates, there to follow his orders. The New York Provincial Congress was in no mood to take orders from this outsider. Lee and the Congress started an intense feud that got really personal, really fast. It probably would have become a problem had not Congress decided to transfer Lee out of the city. In February, Congress tapped Lee to take command of the Northern Army in Canada. Then, a few weeks later, Congress changed its mind and gave Lee an new command: the Southern Department. Lee would be responsible for the defense of Virginia, the Carolinas, and Georgia. Since Lee knew Clinton was headed to that region with a fairly sizable army, he was happy to have an independent command that would soon give him a chance to show off his military prowess. By the end of March, Lee was on his way south, taking up a new headquarters in Williamsburg, Virginia. This was about the same time Washington was chasing Howe’s army out of Boston, meaning Washington would be free to take over the defense of New York himself. The British had evacuated Boston in mid-March. Over several weeks in late March and early April, as Washington became increasingly confident that Howe really was leaving Massachusetts for Halifax, he shipped more and more of his army to New York. As soon as General Lee left, General William Alexander, also known as Lord Stirling took command. Stirling was born and raised in New York, but settled in New Jersey as an adult. He had a Scottish claim to a noble title, hence the title Lord Stirling, though the British House of Lords had refused to accept that claim. When the Revolution began, Stirling, who had no military experience, became a militia colonel when he used his personal wealth to outfit a regiment of New Jersey militia. In January 1776, he made a name for himself when he and his men boarded several small fishing vessels, sailed to a British supply vessel near New York Harbor and captured it. Seen as a rising star, on March 1, Congress promoted Sterling as one of six officers, as new brigadier generals in the Continental Army. A few days later upon Lee’s departure from the City, he found himself in command at New York city. His command was short lived though. On March 21, Stirling had to turn over command to William Thompson, who was appointed General on the same day as Stirling but designated as more senior to him. The Irish born Thompson was at least a veteran of the French and Indian War, who had lived in Pennsylvania. Col. Thompson had commanded a Pennsylvania Rifle Company at the Siege of Boston, where he apparently impressed Congress enough to make General. A week later, General William Heath arrived from Boston to take command trom Thompson. Heath had been one of the original Brigadiers which Congress appointed back in June of 1775. He had been a militia offer in Massachusetts and had been a General in the Massachusetts Provincial Army. Heath had seen some action at the very end of the British retreat from Concord and had distinguished himself during the Siege of Boston. Heath’s command also lasted only about a week before Major General Israel Putnam arrived in New York. I’ve already discussed Putnam’s considerable activities during the Siege of Boston and at Bunker Hill. But even General Putnam only lasted in command for just over a week until Washington himself arrived to assume command on April 13. I went through all those quick changes in command to give some idea of the chaos as the Continental Army slowly migrated to New York. Also, all of the generals I just mentioned are going to play important roles in the coming weeks and months. As we think of the sprawling metropolis of New York today, it is hard to image the area in 1776. The entire region had a population of around 25,000 - smaller than Philadelphia at the time. New York City was only the very lower tip of Manhattan Island, then called York Island. Most of what is north of what we know today as Canal Street was farmland and unpopulated forest. 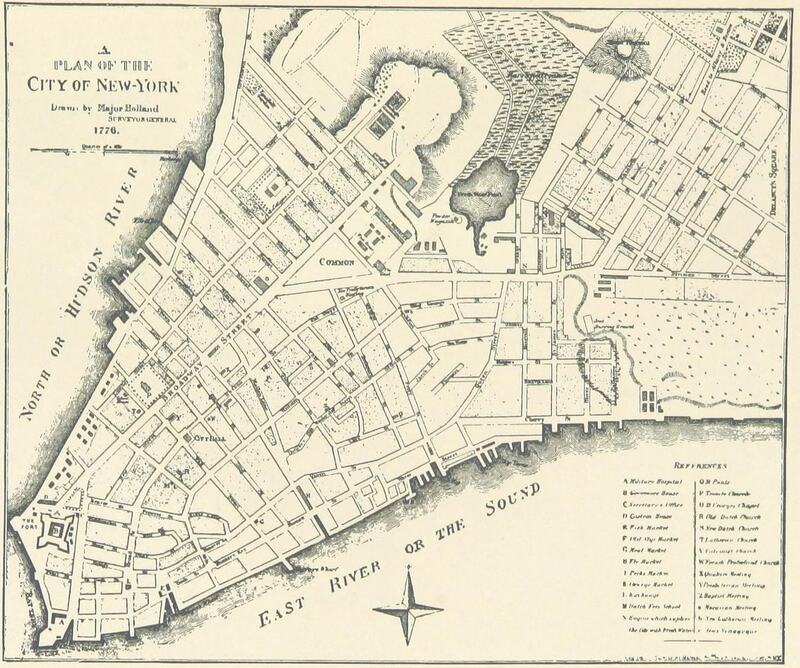 Across the East River, what we call today Brooklyn, was mostly a few large country estates. 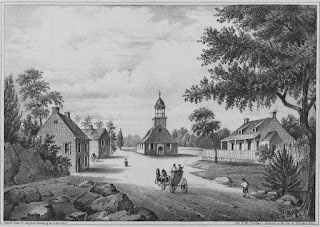 The actual village of Brooklyn was a few miles inland and consisted of less than a dozen houses and an old Dutch Church. There were no bridges, only ferries, to cross the Hudson or East Rivers. By the time Washington arrived in the city, much of the population had already left. Tories had no interest in ending up refugees, having to abandon all their property and run for their lives. Most had packed up and left town before it became a problem. Many others simply did not want to be in a war zone. Before long, the civilian population would drop to around four thousand. 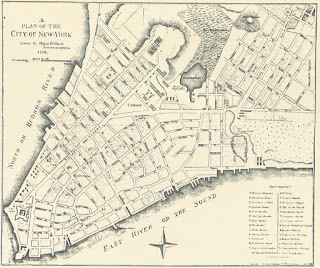 The British found New York a more desirable headquarters, not only because it had a larger Tory population in the surrounding area, but because it would be impossible for anyone to hold the city without controlling the waterways around it. New York Harbor could serve as shelter to dozens of large naval vessels. The Hudson and East Rivers were large enough to accommodate the largest ships of the line well upriver. Without any real navy, Washington realized he needed to do something to prevent the British Navy from surrounding the island and landing wherever they wished. Washington followed the basic plans that General Lee had initiated months earlier. But Lee had already told Washington, that they had no realistic chance of holding New York. Because the British controlled the seas, they could easily land wherever they wanted and overwhelm any resistance. The best the patriots could hope for was to force the British to attack entrenched positions and pay a terrible price to take the land, much like they did at Bunker Hill. But there were no guarantees that General Howe would fall for that a second time. Before Lee arrived, New York had only Fort George, at the very southern tip of the island, today known as Battery Park. Thinking the British might attempt a direct assault, Lee destroyed some of the defensive walls there and build defensive embankments with cannon a little further inland. The idea was that if the British landed under the cover of their navy cannons, they would enter a killing zone as soon as they tried to move off the shore and into the town. Lee and his successors built a series of defensive embankments throughout the city. They also established Fort Washington and Fort Constitution (later renamed Fort Lee) on the Hudson River north of town. Fort Washington sat on the New York side and Fort Constitution on the New Jersey side. The idea was that any enemy ship trying to move up the Hudson would have to pass through an artillery barrage from both sides of the river. Lee also established Fort Putnam, on the east side of the East River to deter any enemy ships from trying to move up the East River. The British might try a direct assault on Manhattan. But the other likely line of attack would be to land on Long Island, move over land into Brooklyn, then attempt an assault across the East River supported by the Navy. To prevent such an attack, the Continentals established a line of defense at the Gowanus Heights, a hilly region in the middle of Brooklyn / Long Island that provided the best natural line of defense. The Continentals would deploy much of their army along this line, especially guarding the passes through the heights to block any British advance from that direction. After Lee’s departure, Washington left Putnam with primary responsibility for setting up defenses in the city. General Nathanael Greene oversaw the building of defenses on Long Island. Even though Washington was leading an army preparing to defend against the largest military invasion any of them had ever seen, he decided to take a few weeks to visit Congress in Philadelphia. On May 21, George and Martha set off for Philadelphia. Washington was so concerned that something might happen in New York while he was away, that he arranged for horses to be standing ready at regular intervals between Philadelphia and New York. If something happened, he could ride back at a gallop, changing for fresh horses every few miles. Which the Washingtons arrived in Philadelphia they found a place to stay on Chestnut street only a block from the State House, what would later be known as Independence Hall. To make room for the General and his wife, the landlord had to kick out their current border. Thomas Jefferson had to pack his bags and find some other place to stay for a few weeks. While in Philadelphia, Washington sat for a portrait with Charles Willson Peale. This was not the first time, nor the last time that Washington would sit for Peale, who painted dozens of Washington portraits. Martha Washington had a less pleasant time in the city. She got an inoculation for smallpox, which at the time gave the recipient a limited version of the disease for several weeks or even months. Since she was spending time with the army the risk of getting full blown smallpox was too high to ignore. Washington’s main purpose, of course, in coming to Philadelphia, was to confer with Congress. Sadly, we don’t have a good record of what they discussed exactly as Washington did not appear before the full Congress, which recorded its proceedings in the Journal. But much of the discussion was over strategy, and specifically whether the army should attempt to hold New York against a British attack (the answer was yes). Congress was heavily involved at this time in debating independence, so that was almost certainly a topic of conversation as well. But I’m going to get into the details of that whole debate in a future episode. Of greater relevance to Washington was the creation of a Congressional Board of War to oversee war strategy. The Board consisted of 14 members, one from each colony, and Virginia for some reason got two. The Board selected John Adams as its chairman, making him effectively the first Secretary of War. Feeling out of his depth, Adams immediately wrote to friends in Massachusetts to ask them to search the Harvard library for any books on military strategy. Apparently a career as a country lawyer did not prepare Adams to run an army. Of course, Washington, also wanted to buy some books on military strategy after he received his appointment as Commander of the Army. None of these guys were experienced professionals in the military. By some unverifiable accounts, Washington also met with Betsy Ross during this visit to discuss the design of a new American flag. According to Ross family lore, Washington, along with Robert Morris and George Ross, met with Betsy. Morris and Ross were both Pennsylvania delegates. Morris was a wealthy Philadelphia merchant. George Ross was Betsy’s uncle. The story itself may be apocryphal as the only evidence is a claim by Betsy’s grandson decades after her death. He claimed it was part of the family’s oral history. If it happened at all, it probably happened about a year later in 1777. 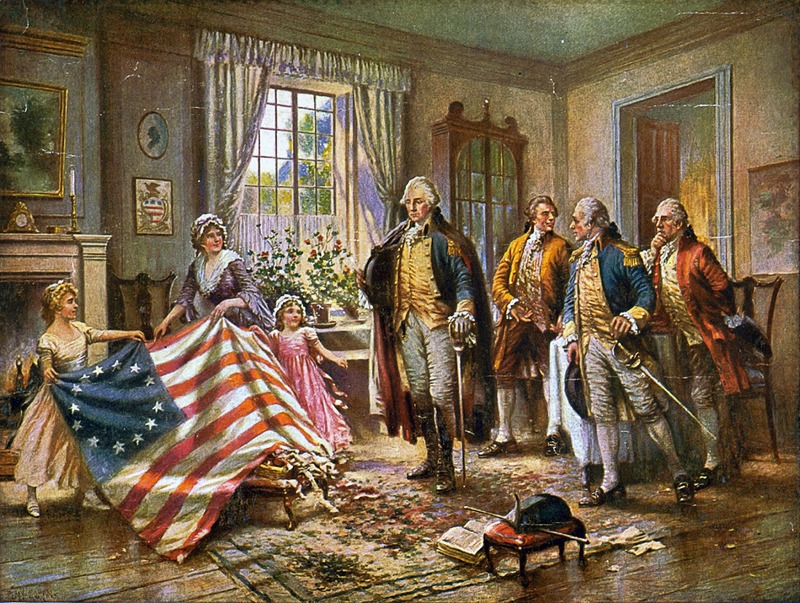 But it would be in keeping with Washington’s character to take a personal interest in the flag’s design, given how much personal focus he had put into the design of uniforms and other details. In any event, Washington returned to New York, leaving Philadelphia on June 5, and arriving back in New York the following day. The army had been rife with rumors that Washington had gone to Congress to resign his commission. Therefore, his officers and men met his return with especially strong celebration. As it turned out, the British did not do much of anything during Washington’s absence. It would be months before Howe’s army could get its act together and begin the invasion. Washington would have many more months to prepare his defenses. Force, Peter American Archives, Series 4, Vol 5, Washington US Government Printing Office, 1837. Flick, Alexander C. Loyalism in New York During the American Revolution, New York, The Columbia University Press, 1901. Fraser, Georgia The Stone House of Gowanus, scene of the battle of Long Island, New York: Witter and Kintner, 1909. 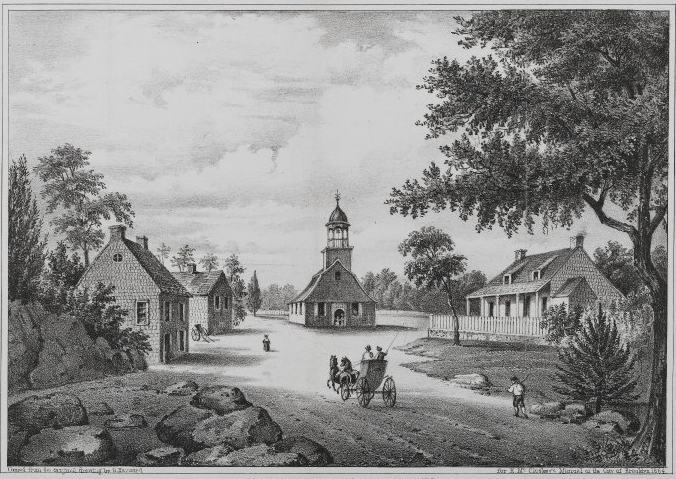 Johnston, Henry The Campaign of 1776 Around New York and Brooklyn, Brooklyn: Long Island Historical Society, 1878. Mather, Federic The Refugees of 1776 from Long Island to Connecticut, Albany, NY: J.B. Lyon Co. 1913. Schwab, John C. The Revolutionary History of Fort Number Eight on Morris Heights, New York City, New Haven, Conn., Priv. print. 1897. Bliven, Bruce Under the Guns: New York, 1775-1776, New York: Harper & Rowe, 1972. Daughan, George C. Revolution on the Hudson: New York City and the Hudson River Valley in the American War of Independence, New York: W.W. Norton & Co. 2016. Ellis, Joseph Revolutionary Summer: The Birth of American Independence, New York: Alfred A. Knopf, 2013. Schecter, Barnet The Battle for New York, New York: Walker Publishing, 2002 (book recommendation of the week).